Vienna, like other major cultural destinations including London, Paris and Florence, embodies a reputation of preserving centuries of Western culture and history. Its way of being and thinking has had a tremendous impact on modern society. Whether it is through the groundbreaking music of Mozart, the great academic contributions of Sigmund Freud and Friedrich Hayek, or the amazing artistic creations of Gustav Klimt and Egon Schiele, Viennese society can be credited with incalculable contributions to the world we inhabit today. If you're seeking total cultural immersion in European art, music, architecture, and literature, Vienna is your answer. From impeccable palatial architecture, a plethora of art museums, and classical music at every turn to the most atmospheric coffeehouses and authentic cuisine, Vienna is a city distinguished by its cultural treasures. Here, you want time to stand still; thankfully, for the most part, it does. The Belvedere Palace is an absolute must for first-timers. This palace houses the largest collection of works by Gustav Klimt - one of the most influential artists in Austrian history. A museum-goer can view iconic paintings such as The Kiss and enjoy a leisurely stroll in the well-presented garden afterwards. The Leopold Museum is another museum worth visiting to get acquainted with Austria's fascinating art history. The museum is conveniently located in the MuseumsQuartier and contains the largest collection of modern Austrian art with a floor entirely dedicated to Egon Schiele. After finishing up with the exhibitions, a visitor can decompress in the Leopold Café. The Kunsthistorisches Museum (Museum of Fine Arts) is one of the most important museums in the world, a formidable, large art museum that's quite close to the Leopold Museum. From some of the most important Old Master paintings and drawings, to antiquities and manuscripts, this comprehensive collection will satiate a museum lover's appetite for an encyclopedic museum experience. The Albertina Museum is right in the centre of town, in close proximity to the Vienna Opera House. Be sure to check out their exhibition programme as it frequently rotates and offers something for everyone. A tour of the Inner Stadt affords one the chance to better understand the history of the city and view its main monuments in one go. These includethe Rathaus (City Hall), St Stephen's Cathedral and the Hofburg Imperial Palace. The Austrian National Library is also very impressive, and considered by many to be one of the most beautiful libraries in the world. Kärntner Straße is a famous shopping street in Vienna, home to decades-old, privately held businesses and restaurants. Wander down the dozens of small streets leading off of it to discover high-end boutiques and iconic coffee houses. The Schönbrunn Palace, also known as the Imperial Palace, is a massive Baroque edifice central to Viennese history. The gardens are vast and impeccable and the interiors will impress even the most seasoned travelers. Who can forget music when considering Austrian cultural heritage? Fortunately, Vienna has no shortage of venues - from small concert halls to the grand Opera House - at which to take in a performance. Consider booking Mozart's The Marriage of Figaro at the Vienna State Opera, but be sure to check tickets before you go as they can sell out quickly and don't forget your dinner jacket! Concerts in Vienna tend to be more formal affairs than elsewhere. Pre-theatre and concert drinks can be enjoyed at the Albertina nearby, where a modern balcony and fine dining restaurant offer sweeping views of the Neo-Renaissance style opera house. A bit further afield, Neufelder See is a pristine lake about 45 minutes from Central Vienna. Popular in summer as a weekend destination and holiday getaway, the lake area offers several options for day trippers wishing to get out of the city. Woracziczky Gasthaus is known for combining the flavours from high quality local cuisine with modern aesthetic elements. The interior is fantastically minimalist (even Scandinavian) but the back-to-basics vibe is still maintained through the chef's use of honest flavours, the friendly service, and thoughtful details such as hand-written menus (also offered in English). Heuriger Werner Welser is off the beaten track but worth the venture. Very much a locals' spot, diners will find authentic, down-to-earth food in a casual environment with plenty of outdoor seating and a cheerful beer garden vibe - complete with vines and entertaining live music. Kick back, order a stein, and let the night unwind. Reinthaler Gasthaus is a well-known, beloved and traditional lunch spot in the heart of the city. We recommend you don't stray far from the norm; try the wiener schnitzel with krautsalad and a chilled Radler. For early morning or after dinner treats, head to one of Vienna's famous patisseries or cafés. Oberlaa is a lovely, small patisserie famous for homemade sweets including macaroons, delicate pastries and over-the-top iced coffees. For something more refined, we recommend Café Sacher, home to one of the most posh rooms in the city and staffed entirely by smartly dressed waiters. The iconic chocolate cake - the Sacher Torte - is a bucket list item for first-time visitors and loyal patrons alike. For a night on the town, Vienna may not offer as many options as her European sister cities. That said, the limited options are all of high quality. Take Bar Tabacchi, for example. The dimly-lit and intimate bar near Woracziczky Gasthaus is the perfect destination for a nightcap. Or, head to the 25 Hours Bar where evening views of the city compliment fantastic cocktails, good music and a younger crowd. Finally, for a more high-end option, Blaue Bar located in the Hotel Sacher provides a more mature, tame setting for aperitivos. Kojo Abudu is a writer and aspiring curator based between London, New York and Lagos, currently working in Sotheby’s Contemporary Art division. In 2013, he launched Kojo London, a cultural online space dedicated to cultivating a slower lifestyle for young, reflective minds through select aesthetic, culinary and travel experiences. 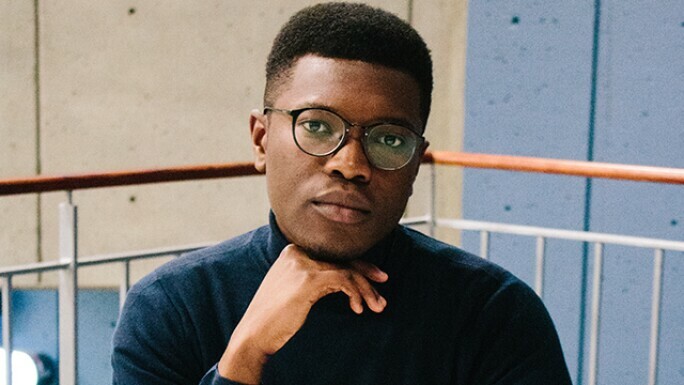 Recently, he also launched @nmoderno_ , an interdisciplinary social platform showcasing a curated selection of art, fashion, architecture and design. Kojo is a graduate of Duke University where he studied Philosophy and Political Science, and served as Editor-in-Chief of FORM Magazine, the premier art and culture publication in Durham, North Carolina.